Looks like metal at a low plastic price! 22 oz. 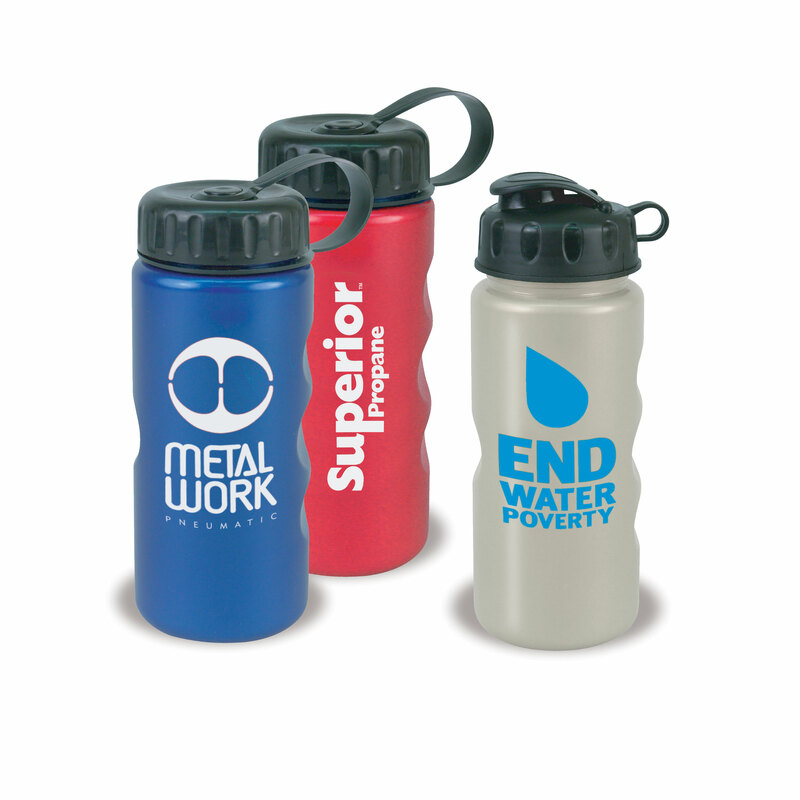 Metalike Mountain Bottle with Tethered or Flip-Top lid! BPA free Tritan! Cap attached at no extra cost!Standard Cap Colours: Black Standard Bottle Colours: Silver, Blue, Red Stock imprint colours: Black, White, Metallic Gold or Silver, Yellow 123, Red 186, Blue 286, Process Blue 307, Green 348. Hand wash all drinkware to preserve the quality of imprint.